The wife-husband team of top trial lawyer Genie Harrison and prominent entertainment industry graphic designer James Lizardi, in collaboration with Genie Harrison Law Firm associate attorney Amber Phillips and longtime technology developer Martin Bambanian, today launched Damages Genie™. 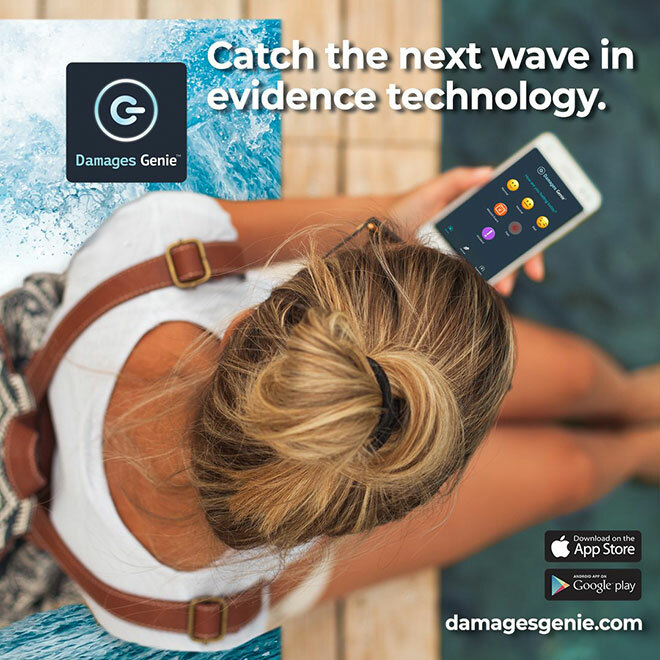 Damages Genie™ is the first-ever app designed for plaintiffs to capture non-economic damages, which is then transmitted into an Attorney Dashboard that allows plaintiff’s attorneys to assess, value, and present the damages information. Intended as a tool for plaintiff trial lawyers, Damages Genie™ enables attorneys to sign up and register cases on secure, encrypted servers. Once details of a case are entered, plaintiffs have unlimited access to a password-protected app where they can add data relevant to the case, such as pain levels, state of mind, mood, missed events, and experiences relative to their emotional distress, and pain and suffering. Plaintiffs can also upload photos, videos, and expense documents for their lawyers. “Lawyers always ask me two questions: How to describe emotional distress, pain and suffering to a jury, and how to value those damages,” said Harrison, who has been teaching litigation and trial skills to plaintiff’s lawyers for 15 years. Once data is stored, the software organizes the information into a chronological, searchable client-attorney journal, as well as charts and graphs. Lawyers will finally have access to non-economic damages data in one central location, from which they can quickly analyze the results and value the damages to craft their arguments for mediation, settlement and trial. Damages Genie’s™ user-friendly client app is a welcome alternative to exhaustive hand-written logs, too-many-to-count emails, and disincentivizing journaling. One remarkable feature allows users to choose from more than 50 descriptions typically used in jury instructions to document their emotional distress, pain and suffering. The app is intuitive, easy to use, and sends daily reminders to the client to log their data. The data management software for lawyers, called the Attorney Dashboard, will save lawyers countless hours that would be spent collecting, organizing, valuing, and presenting non-economic damages data. 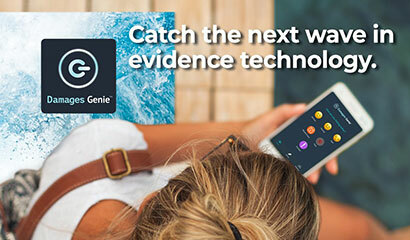 Damages Genie™ aims to revolutionize the client’s ability to capture non-economic damages data, and their attorney’s ability to assess, value, and present that data. For more information on Damages Genie, visit damagesgenie.com.